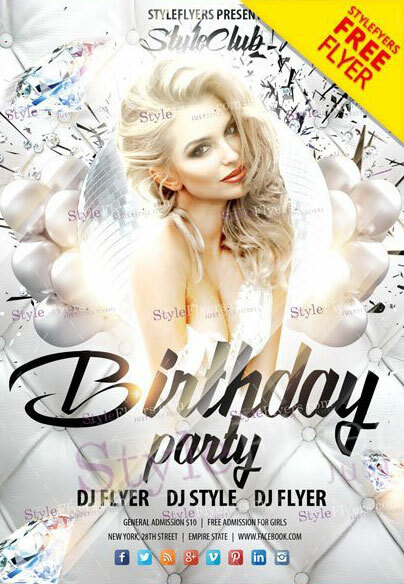 If you want to arrange the most outstanding and exquisite Birthday party, you should turn your attention to our free Birthday PSD flyer template. The amazing white background will emphasize the beauty of our gorgeous model. Balloons and diamonds just help to convey the luxury spirit of your party. And the huge free space area is your opportunity to write all advantages of your event. After downloading, you can freely change our design and implement your own ideas to bring it to the perfection. Arrange the grand event at your nightclub and attract more loyal visitors to your place. Start boosting your business right now!